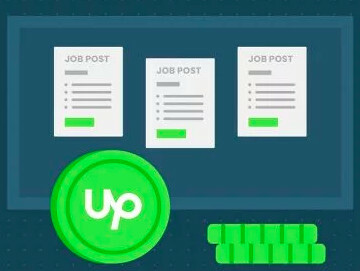 A few tips for making the most of the Upwork Community Forums. This information should be especially useful for new members of the Upwork Community Forums. If you are reading this, chances are you have just joined the Forums, and have posted your first question. Community members or Community Moderators will eventually respond to your question, so do check back for replies. If those replies have helped you, it's appropriate to respond with a 'thank you', or if needed, you can ask for additional details. By default, you WILL NOT be notified via email when your question is answered. You will need to turn this feature on. Use the below section to adjust your settings to allow Post response notifications and Private message notifications to show up in your email. Notification Settings - Getting too many notifications? Not enough notifications? To get to this settings area, click the gear icon, which is at the top left area underneath your name. This icon is accessible in most main Forum areas. New to Upwork and have a lot of questions? Use the search bar! That is the large, empty field at the top of most of the Forum areas. Input the topic you want more information about, then click the search icon inside the field. Chances are your question(s) has been already answered in the Forums. If you have been browsing the forums for a couple of days, you have probably found posts or threads that you want to save for future reference. Use the pulldown menu on the right section, top area of each thread or post and from the menu, select Bookmark. To delete a bookmark, click the check box for the bookmark and click Bookmark Options > Delete Selected Bookmarks. Want to know more tricks related to using the Forums? There is a detailed help section that covers several other aspects of the forums. Note: This is a generic FAQ related to the Forum software. Not all features that this FAQ covers are available in the Upwork Community Forums. Great job Pandora - even if I could create video tutorials, I'd never have the patience to do this I hope this post gets pinned/highlighted. Thanks Isabelle! It was a lot more work then I thought, and my voiceover skills are horrible. As for getting it pinned, I don't want to say anything specific, but: An Upwork Moderator sent me a PM about it, and there is hope for it to be more visible eventually, but probably not anytime soon. The Upwork Community forum is a member based community for both Freelancers and Clients. Like many other online communities, this Forum has its own rules and culture. Some of these rules and culture quirks are like other forums, and some are specific to this particular community. This post outlines the various do's and don'ts that are expected (and sometimes enforced) in the Upwork Community Forums. If you haven't already read the basic Upwork Community Forums Guidelines, you should. You are expected to know these guidelines, and abide by them. So, now that you have read the basic Guidelines, what do some of those restrictions and recommendations really mean? *Note: if you want to report a job post, submit a ticket to Support, and flag the job post. **Note: if you want to report a scammy client, submit a ticket to Support. Putting a client or company name into the title of your post - Don't. This means if you want to discuss a job post, or ask about a possible fraudulent client, you can't name the client or company. Putting a client or company name into the body of your post - Don't. Copying a job post description into a post - Don't. If you wish to discuss or report a job post, you must manually write about the job post or client. Do not post ANY content from a job post. *Note: if you must report a job post, submit a ticket to Support, and include the job post URL. *Note: if you want to report a fraudulent freelancer, submit a ticket to Support. Putting a freelancer name into the title of your post - Don't. This means if you want to discuss a possible fraudulent freelancer, you can't name the freelancer. Putting a freelancer name into the body of your post - Don't. Copying a details from a Freelancer Profile into a post - Don't. If you wish to discuss or report a Freelancer Profile, you must manually write about the profile. Do not post ANY content from the Profile. *Note: if you must report a fraudulent freelancer, submit a ticket to Support, and include the Profile URL. If you do include any of the above data, your post will be edited (and possibly removed) by an Upwork Moderator. If this happens, don't complain. Your responsible for knowing this is against the rules. What else can't we post? This is a professional community. If you would not want a current or perspective Client to see your post, it's very likely not appropriate for this forum. And of course, the usual forum rules apply here. Hateful speech, flaming, spamming and trolling isn't allowed. Here are some misc. items that are considered to be inappropriate, and will either get you a slap on the wrist (edited/deleted post), possible suspension, or even banishment. Before you think these restrictions are just simply too much, consider the community. Upwork is a business, offers the forums as service to the Member base, and has every right to enforce whatever rules they want. Forum moderators work hard to maintain a professional environment for the Member base. In addition, there are professional Freelancers and Clients who go out of their way to provide informative and helpful posts. Be nice to them, and they will be nice to you. If you appreciate the support of a Moderator or other Member, thank them. If they offer constructive criticism, don't be hostile. Freelancer Forum - For freelancers, obviously. You can post in the Client area, but be watchful of what you are posting. Client Forum - For Clients, obviously. Clients can post in the Freelancer area, but for support and Client related questions, the Client area is best. Coffee Break - Anything goes, for everyone. Within reason, obviously. There are other areas, but they are much more specific and don't really need an explanation. If you post something by accident in the wrong forum, don't panic. A moderator will eventually move your post to the correct area. 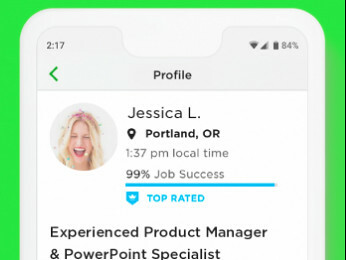 If your brand new to Upwork, your question probably isn't unique. For now, the Search function is your best friend. Chances are that your question has already been asked, and discussed at length, in an existing post. Note: The video in the first post in this thread has a section related to searching. If you haven't watched the video, do check it out. Note: At the time of this writing, Upwork has announced that they will be re-organizing the Forums somewhat. These changes will make it much easier to find answers to the most common questions. Stay tuned, and watch out for updates regarding the new changes. Being an active member of the Upwork Community Forums means that you are familiar with the rules, are respectful to the Members, and are mindful of the content you post. Having a bad day and want to rant? Go for it, within reason. Got a fun story to share? Please do. 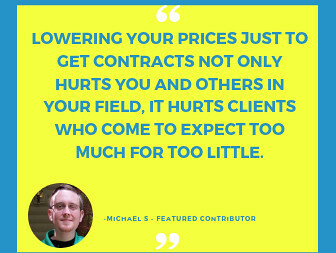 Having a problem with Upwork, a Freelancer, or a Client? Go ahead and post, but be mindful of the rules.